Canon USA chose 20th December to officially launch the much heralded software development kit for web-based Solution providers to integrate their products with suitable Canon devices (enabled imageRUNNER ADVANCE MFPs) – and vice versa. MEAP Web has been available in Europe and elsewhere since 2010. There are two ways to allow an MFP to participate in business software workflows: web-based or Java-based. There are significant differences between the approaches, and manufacturers tended to adopt only one of the two. Java-based apps utilize more computing power within the MFP, whereas web-based apps tend to run on a server. Canon was the first manufacturer to offer a software platform, in 2003. At the time, Java was the best option since it is so robust. But it has disadvantages. It’s resource-hungry; it’s not so easy to integrate – it requires serious programming skills – and this can bump up costs. The alternative strategy is to allow the same kind of programming that is used for internet sites to run on your MFP. Typically the software then runs on a server and displays on the MFP screen; a smaller module runs on the MFP to run features of the device. Web-based solutions are easier to implement, and so rather quicker to bring to market, and web-based platforms have become the norm. No manufacturer has launched a Java-based extension platform since 2006, and Xerox’ EIP, Konica Minolta’s OpenAPI and bEST and Toshiba’s OPA and eBridgeX platforms which followed are all web based (not to mention the hybrids from Samsung and Kyocera). Canon (and Ricoh and Lexmark) have held on tightly to their 10-year old Java strategy as this has allowed them to completely control (and charge for) what runs on their devices. Kyocera’s HyPAS allows both Java- and web-based apps to run on their enabled devices. Samsung’s XOA is also fit for both types. The arrival of MEAP Web meant enabled Canon devices could exploit both architectures too. The SDK means – for a fee - web-based solutions providers and integrators can develop products which work with suitable Canon devices. The stumbling blocks have been removed. It’s going to make it a lot easier to integrate into Canon environments, and it’s going to be easier to sell Canon iR ADVANCE MFPs into businesses with key processes which could not run on MEAP hitherto. Lexmark has launched no less than eight new series of printers and small MFPs running from 23 to 66 ppm aiming at a wide range of users. With this launch the brand is pushing hard to reinforce its software positioning (particularly with a restructured MPS offering) and thus to revalue its whole range of products. The new equipment from Lexmark all have color touch-screen interfaces, print engines running at up to 66 ppm in black and management solutions available directly from the devices' screens. Their specs and sales arguments will all be available on Your DMO very shortly. 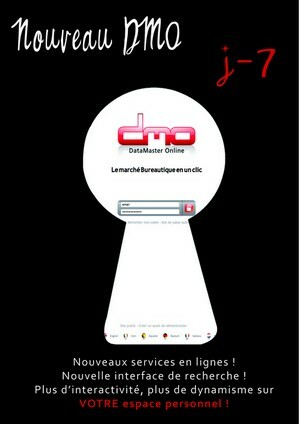 29 - New DMO Homepage! From today, there's an all-new DMO Homepage! Even clearer, the new page lets you find all the machines and all the solutions in the database using the new quick search interface, as well as all the latest news in our markets. The new menu means navigating DMO is even more fluid than before! 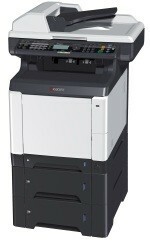 Sharp has just launched two new entry-level color machines, the MX-2614N (26/26 ppm) and MX-3114N (31/31 ppm). These new multifunctions are based on the preceding MX-2310U and MX-3111U but with upgraded controller hardware (3GB of RAM and a 320GB hard disk), and with electrical consumption in stand-by down to under 1W. The entry level for Sharp A3 color remains the 20 pages-per-minute mark with the MX-2010U, but now extends up to 26 and 31ppm. Toshiba entrusted DataMaster, for the second year running, the planning and execution of the Tour de France .... of its regional offices, dealers and main distributors. 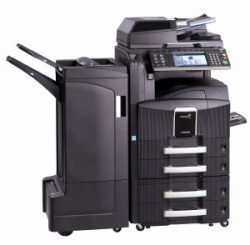 There are several new products, including an all-new entry-level A3 color MFP. Between June 18 and July 18 the entire national sales force of Toshiba are going to learn about the strengths and competitive advantages of these new machines. 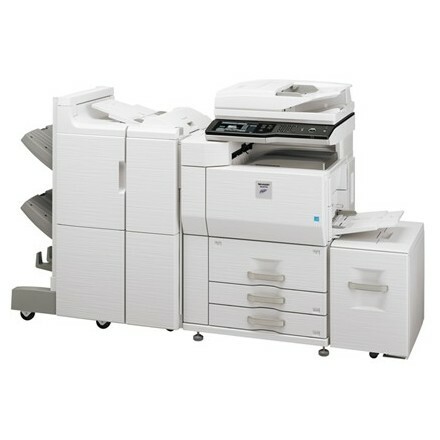 Until now Sharp has been absent from the light color production market, with only office MFPs running up to 51 ppm. Sharp is now launching a new production print engine running at two speeds: 62 ppm and 70 ppm. This engine, aimed at print shops and large companies' marketing departments has features deisigned to fit this target market: a wide range of media, a powerful controller which comes with color and other management apps built in, a variety of finishing options and a selection of high-capacity paper stores. 25 - DataMaster has a new logo! DataMaster's CEO and the Technical Manager are in Düsseldorf from May 3 onwards for the Drupa print media fair. All the digital press manufacturers are there - Canon, Konica-Minolta, Kodak, Xerox, Ricoh, etc - and all that's new, and even a few as yet unreleased machines; are all on show. Today, DMO has over 180 production machines with maximum speeds of up to 150ppm. Drupa represents the chance to discuss the fine points of the 2012 machines with the experts. Do not hesitate to get in touch with us directly if you have any specific questions. The most renowned international exhibition for our industry, the Drupa is held in D¨sseldorf in Germany every four years. Everyone who is anyone in the graphics industry is there. In 2008 the show had over 390,000 visitors and 1,971 exhibitors from 52 countries. 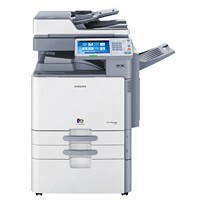 Sharp is renewing its A3 monochrome entry-level offering with six new machines, adding 23ppm and 35ppm to the range. The MX-M264N/M314N/M354N series has a 160GB hard disk as an option and 2GB of RAM as standard. Madia management, finishing and productivity are the same as for the preceding range. For the small 18 to 23ppm range we note it is possible to scan to the USB port on the rear of the device, and to route faxes to email. Detailed specs online on your DMO! The exhibition will also be the occasion for Konica to present new measurement and colorimetry management systems, plus software and cloud-based services. According to InfoSource, Konica-Minolta have 33.9% of the color production market, placing them ahead of Canon and Xerox. The DataMaster technical team have tested the latest Toshiba A3 monochrome devices. Check out the full test results on Your DMO. Canon is launching its new monochrome A3 engine in May. The new models are the iR Advance 4025i, 4035i, 4045i and 4051i. No major changes compared to the iR 3200 range launched in 2008, but the engine is being rolled out with speeds of 25, 35 and 45 ppm plus a new speed of 51ppm - which broadens the Canon A3 range. Suitable for small and medium work groups, these machines offer a resolution of 1200 x 1200 dpi, a 250 GB hard disk as an option, and electrical consumption of only 1W in stand-by mode. We note the absence of PS3 in the standard machines. The models also have an internal stapler with room to output 1000 sheets and a saddle-stitch unit with room for up to 3000. 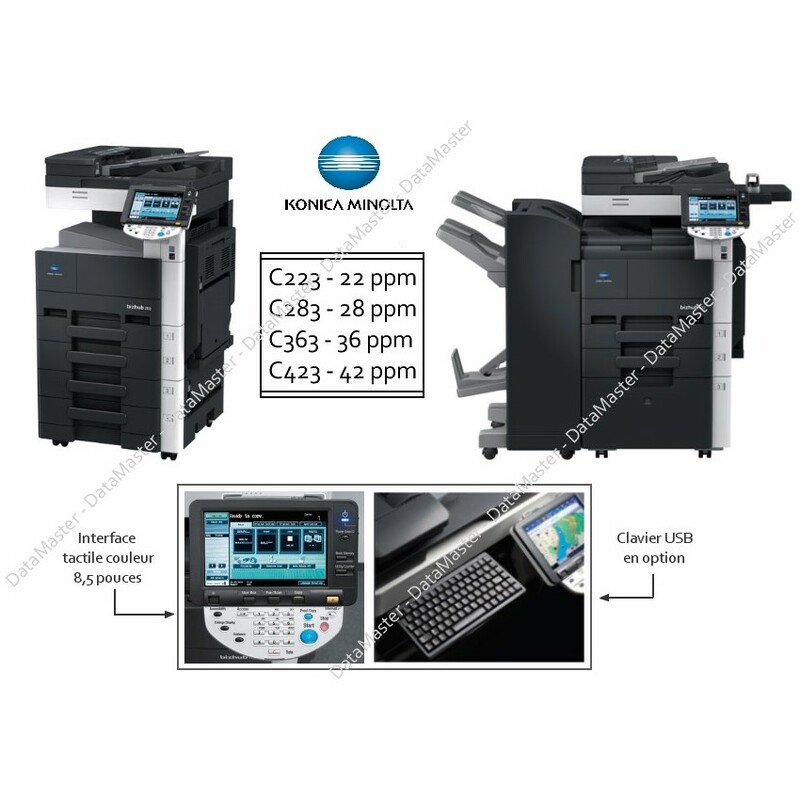 Konica-Minolta has added two new models to its A3 color range: the BizHub C654 (60 / 65 ppm) and BizHub C754 (60 / 75 ppm), and so run their range up to 75ppm in monochrome. Konica are showing off a new design on these new models, and an interface which is going to make some waves .... A sliding and adjustable 9 inch screen, directly inspired by the touch-screen tablets of the mass market. Want to see the presentation? Click here! Beyond the design of tehse new models, Konica-Minolta is also offering two new finishing units (100-sheet stapling, A3++ booklets, unlimited output capacity) and a new external Fiery RIP (IC-414). The alliance between the Ricoh print engine and Infotec's AFP controller has given birth to a new 90/90 ppm digital press: the Ricoh Pro C900 AFP. 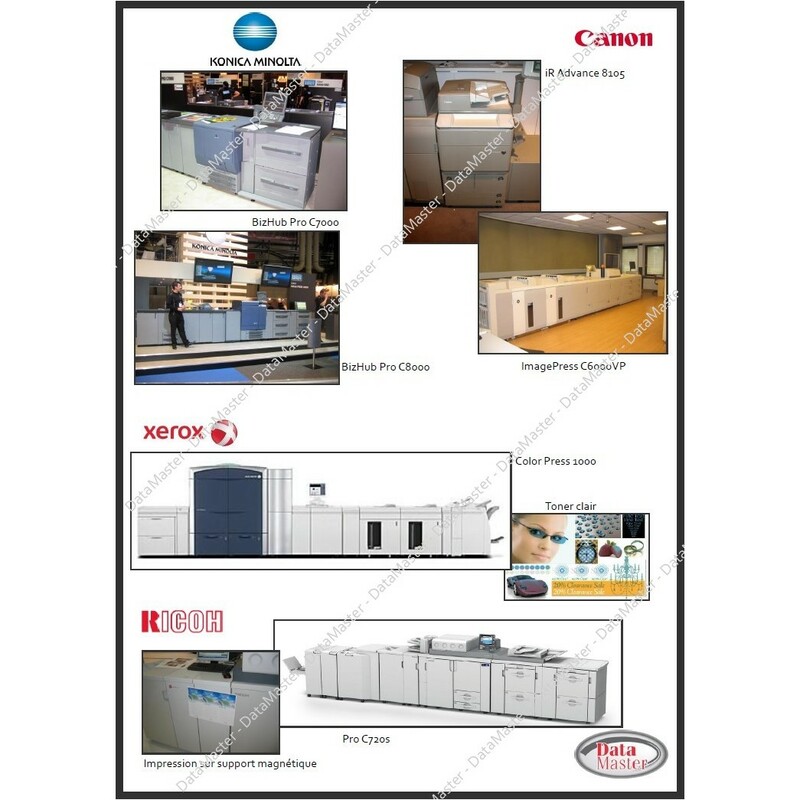 According to Ricoh, this press is "dedicated to the printing of sensitive transactional and promotional material (invoices, check letters, statements, reply coupons or personalised mailings, among others. 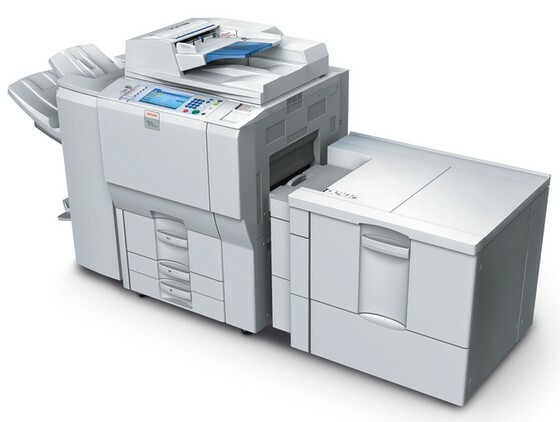 Ricoh is also putting in place a program of operator-replaceable components, to give professional users the option to carry out certain maintenance jobs themselves (replacement of certain parts), thus avoiding the need to wait for a service visit, probably with the machine on standy-by. Check out, by clicking on the image opposite, a quick focus on the two new A4 monochrome MFPs from Konica-Minolta, the BizHub 36 and 42. The DataTech and the Data +/- are already online. 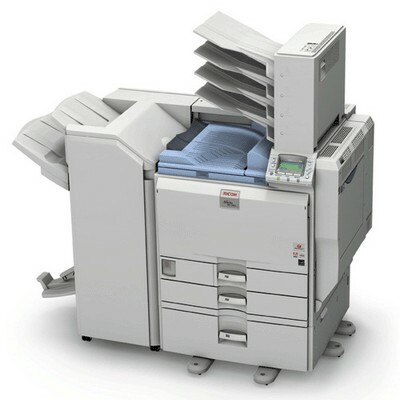 Since just before Christmas, Ricoh removed App2Me, the MFP scan-to-cloud suite, from their download pages. They will cease to support it from March 30th 2012. In September last year, Google announced that they will be phasing out support for Google Desktop. App2Me integrates quite closely with Google Desktop, indeed depended on it, but with the cancelling of App2Me Ricoh loses integration with the other apps the App2Me widgets assured, such as Evernote. An early scan-to-cloud product, Ricoh’s App2Me was launched at the end of 2009. The playful look and feel, coupled with the apparent ease of downloading and installing the widgets onto the MFP interface made it look very appealing. The dependence on Google apps was always going to be an issue – and the difficulty of developing the widgets in the Java environment meant there were simply too few of them for App2Me to fulfill expectations. 01 - wishing you a Very Happy New Year 2012! 22 - Merry Christmas and Happy New Year! 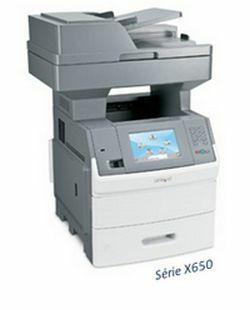 Check out, by clicking on the image opposite, a quick focus on the 45ppm A3 color LED printer, the Xerox Phaser 7800. 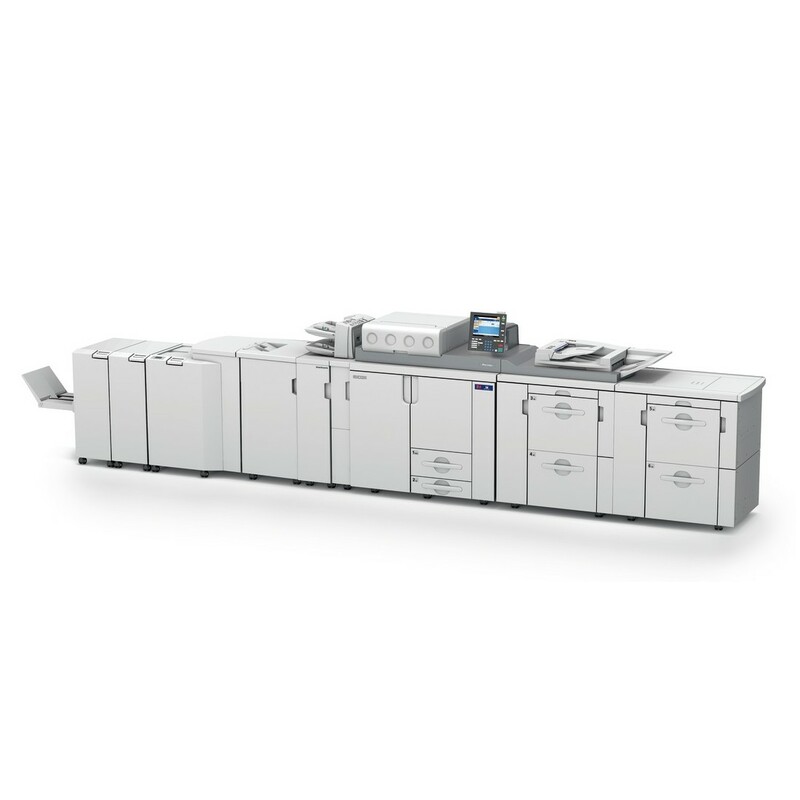 Konica-Minolta has launched two new monochrome A4 MFPs with features close to those found on an average A3 machine. The BizHub 36 and 42 run at 36 ppm and 42 ppm respectively. 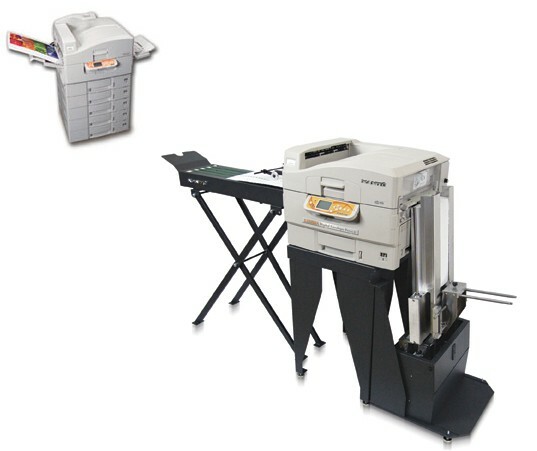 These machines are aimed at small work groups, but they have a broad range of features, such as the option to print onto A3 from the bypass (up to 150 sheets), scan-to-folder in color, an integrated 1-2 point stapler (up to 50 sheets), a paper capacity of 2150 sheets and a maximum paper weight of 210 gsm (in the bypass). 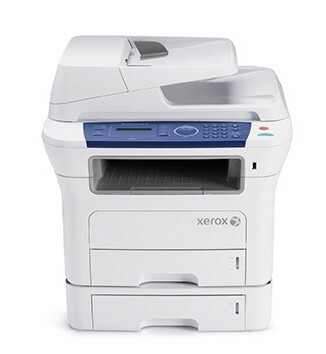 Xerox is launching a new A4 color MFP, the WC6015, to replace the Phaser 6121MFP. With LED technology, running at 12ppm in color and 15 in monochrome, the new machine is based on the motor of the recent Phaser 6000/6010 printers. 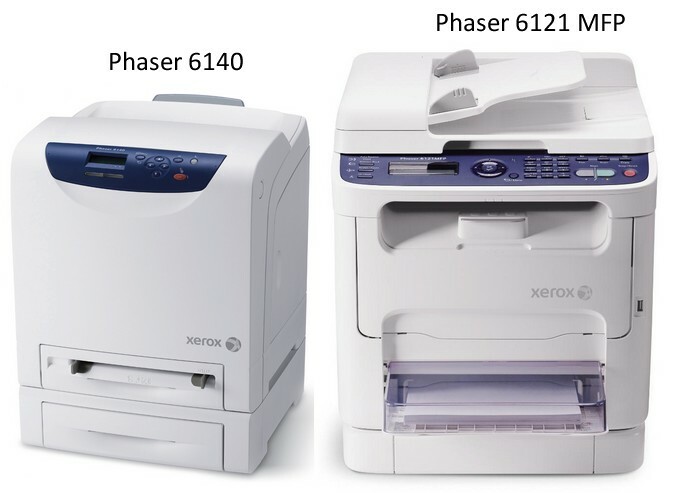 Xerox has also announced the new Phaser 7800, an LED-based A3 color printer running at 45ppm in both color and monochrome, replacing the Phaser 7760. There are some new features, such as the use of EA toner, an induction fuser unit, a large color touch-screen interface, a 2000-sheet finishing unit - and the ability to print onto 350 gsm (300 gsm in duplex mode). 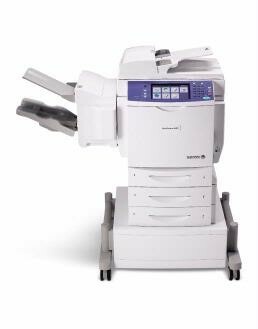 The imageRUNNER 1700 series is based on a new print engine from Canon which has been rolled out at 30, 40 and 50 pages per minute in the iR1730, iR1740 and iR1750 respectively. The machines are all equipped with a color scanner, and a highly productive feeder for the A4 segment, especially on the 40 and 50ppm models. Canon is developing its offering for demanding workgroups with this new range of compact but high-volume models, with monochrome touch screens and finishing modules as an option. Postscript remains an additional option for the North American versions of the 1700 series, whilst in Europe (iR1730i, iR1740i and iR1750i) they have PCL and PS emulation. Scanning to text PDF (searchable PDF) is an option too - in both markets. Fax cards can be added. Check out the details in Your DMO! 05 - Canon presents the new iR Advance C2025i ! 29 - Fiery controllers in the new color range from Kyocera-Mita! 16 - Toshiba updates its whole A3 color range! 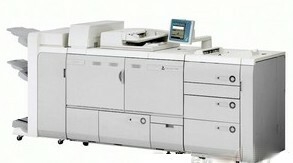 Xerox is reinforcing its position in the color 20-29 ppm segment with the launch of the Xerox WorkCentre 7125. 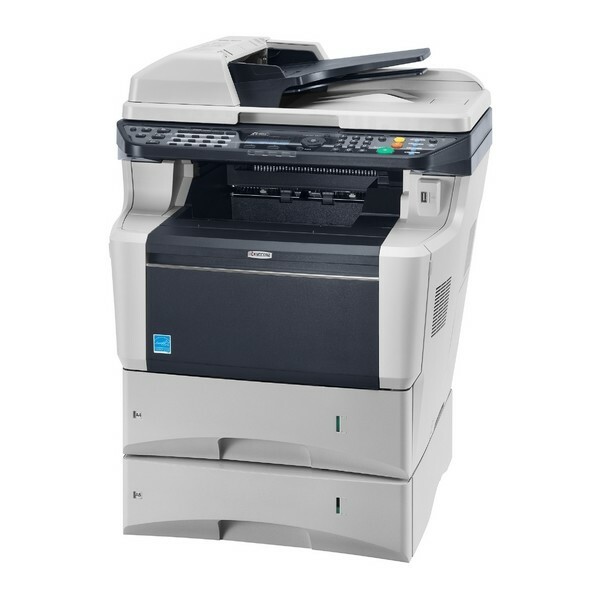 This machine has many of the features and characteristics of the WC7120 launched a year ago, with an A4 speed of 25 ppm in both color and monochrome. 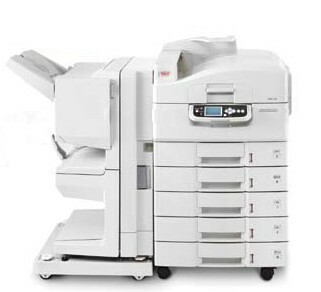 The Xerox proposal in this segment now consists of three machines: the WC7120, the WC7125 and the WC7525 launched in March. It's worth remembering that the 20-29 ppm segment is highly strategic for manufacturers as it represents over half of total sales of A3 color MFPs. We are delighted to announce our partnership with Industry Analysts, Inc. of Rochester, NY, USA who are already marketing access to DMO, our on-line database of over 1,200 machines. This database is dedicated to helping printing professionals (distributors, consultants and manufacturers). Already widely distributed in Europe, DMO will now be distributed by Industry Analysts in the USA, Canada and Mexico. This gives an alternative source of information to the American public. They have already shown a high level of interest in the DMO product, particularly in its ready-to-use sales arguments and the machine productivity tests regularly put on line by our technical department. 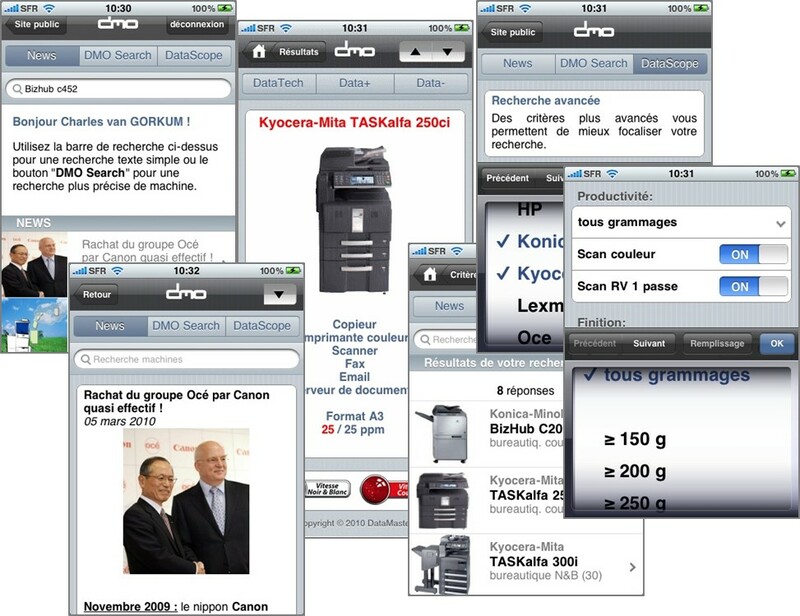 Available in five languages (English, French, Spanish, German and Italian) and adapted for different zones (EMEA, America, Asia), the DMO Web and DMO Mobile spaces are used by everyone who needs access to information on printing equipment which is sold all over the world. Our expertise allows us to offer our customers technical data, sales arguments (positive and negative), test results (from real-world test scenarios), photo and video slideshows, sales support aids - all in a totally neutral context. Our strengths: our knowledge of the market, our thorough understanding of the territory, our objectivity, and the depth of the information available. What we do: fulfill the needs of our customers by giving them useful, neutral* tools and data in line with their business aims; and by sharing our skills, knowledge and experience, we save our customers time. Our partnership with Industry Analysts Inc. will allow both our companies to develop innovative projects together. We share the technical expertise, and we will pool our knowledge of the office equipment markets on each side of the Atlantic, and the world. Try DMO out, your 360°partner : Click here! Xerox has announced the launch of the Phaser 4600 and Phaser 4620, two b&w A4 machines printing at 52 and 62ppm respectively. Beyond their output speeds, it is the finishing options which distinguish them in the market. They can be equipped, as an option, with a 50-sheet stapler, or a 4-tray mailbox, which means there can be up to five distinct outputs, including the main output tray. 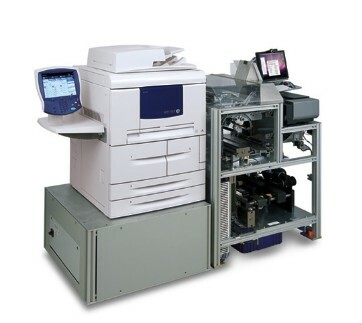 Also to be noted, the print resolution of 1200x1200 dpi and the large range of media supported (tranparencies, thick papers, envelopes, labels, etc) by both these printers, which are highly adapted to respond to the need for high-volume monochrome printing (accounts departments, billing, pay slip printing, etc). The brand is trying to reduce the environmental impact of this device compared to its predecessor, the BizHub C20: the smaller size means energy savings in transport and distribution. Timed and engineered to fit with the launch of the revolutionary GUI on the new Sharp MFPs, Sharp released the software development kit for OSA 4.0 on 14th March. Sharp has doubled the number of APIs (now including copy and fax), and have focused on delivering a platform to support cloud-based apps of all kinds. Cloud computing and solutions based on internet-based services have sky rocketed … but Sharp are pointing to the specific advantages for the reseller community and associated development teams: there are huge opportunities for resellers to add value here, providing unprecedented solutions for their customers. Another plus is that with OSA 4.0, the MFP itself can host many more cloud apps – making it easier and cheaper to utilize them. 09 - Kyocera-Mita launches 2 new A3 series! 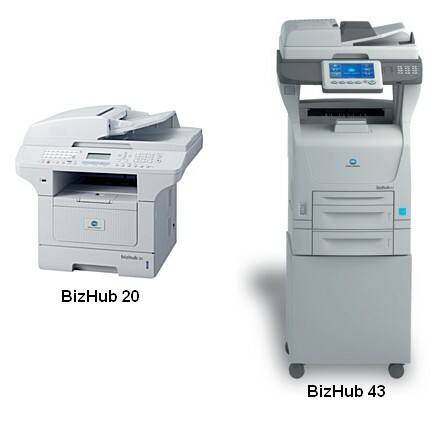 01 - Konica-Minolta launches the new BizHubs 552 and 652! 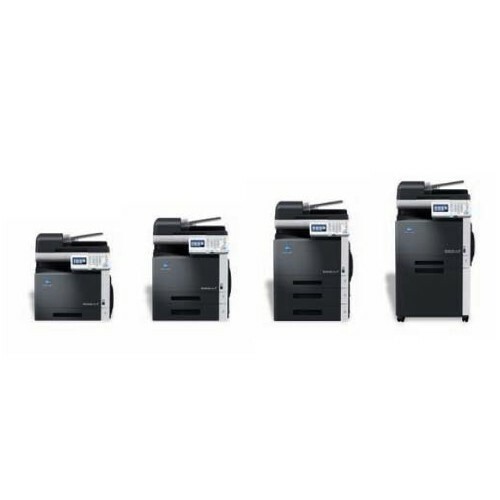 After the launch of the BizHubs 223, 283, 363 and 423 last June, Konica-Minolta is continuing to renew its b&w equipment by announcing the new BizHub 552 (55 ppm) and 652 (65 ppm). We also see that on these new engines the finishing units available are those already available on the color version (C552, C652) and on the recent b&w series (223, 283). 18 - DataMaster launches DMO DataTest! DataMaster has given subscribers access to the results of machine performance tests through My DMO! The test series involve carrying out a fixed set of everyday copy, print and scan jobs. The results appear in the form of speed comparisons, graphics with technical and commercial comments. This new tool represents a real value added for our subscribers who can, from now on, assess the productivity of machines on the basis of the focused, objective testing we have carried out. 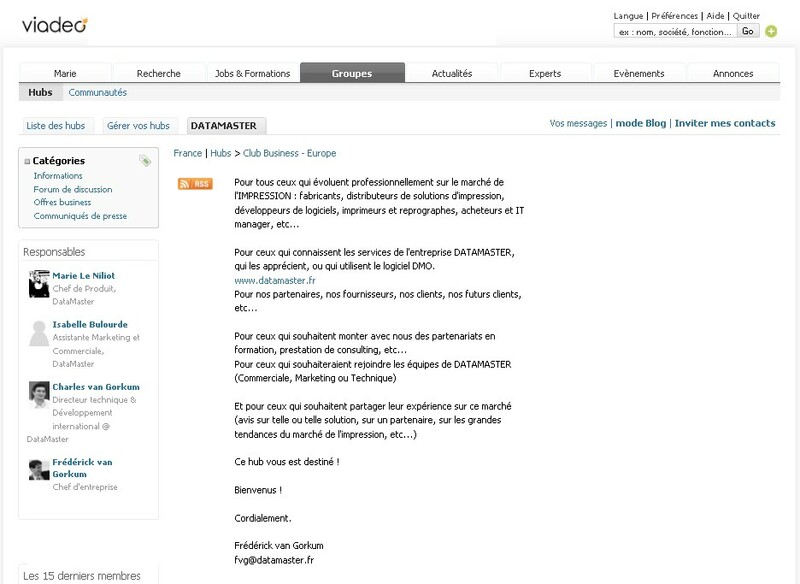 To find out more, click here, or contact us at contact@datamaster.fr. 13 - DMO now has over 1,000 machines! 22 - Merry Christmas and a Happy New Year 2011! 20 - DataMaster is looking for a Sales Consultant! 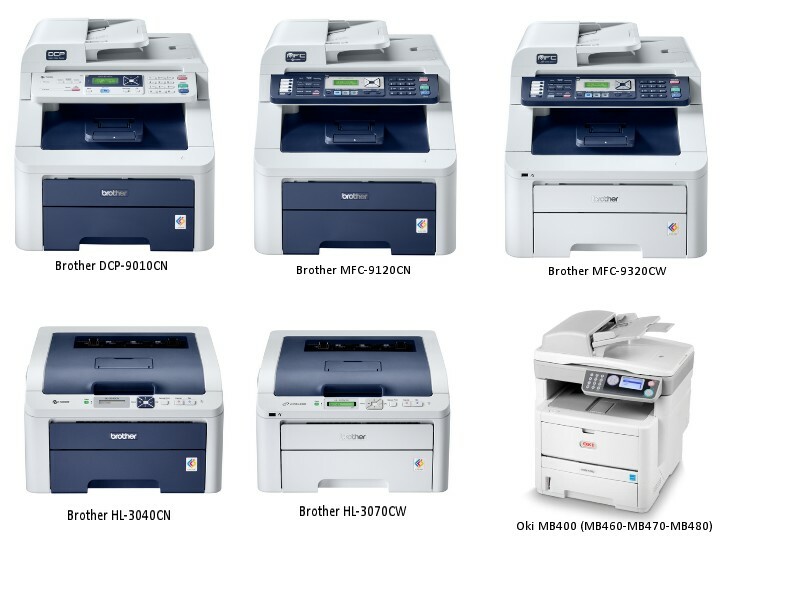 24 - Ricoh launches their new MPC3001, MPC3501, MPC4501 and MPC5501! On the design side, Ricoh is sticking to their current catalogue strategy with a print-from-USB or -SD function thanks to the ports on the front (available as options). Note that the hard disk capacity for all four models is 160GB and RAM goes from 1.5 GB (C3001 and C3501) to 2 GB (C4501 and C5501) according to speed. The bypass now takes up to 300gsm media, but only for simplex printing. Scanning speed for the two larger models is 67 opm. On the productivity side, the launch represents an increase of 2 to 5 ppm depending on the machine. 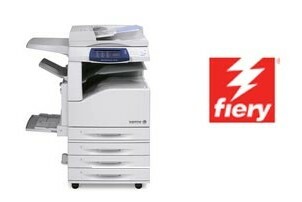 Fuji Xerox have just launched some competition for the "pros" of the laser and small A4 MFP market. More than just an elegant design; these 6 new machines have the new S-LED (Self-Scanning Light Emitting Diode) technology. This should bring users higher quality, lower energy consumption and more comfort from this silent technology. It brings sharper images, shapes, texts and graphics. 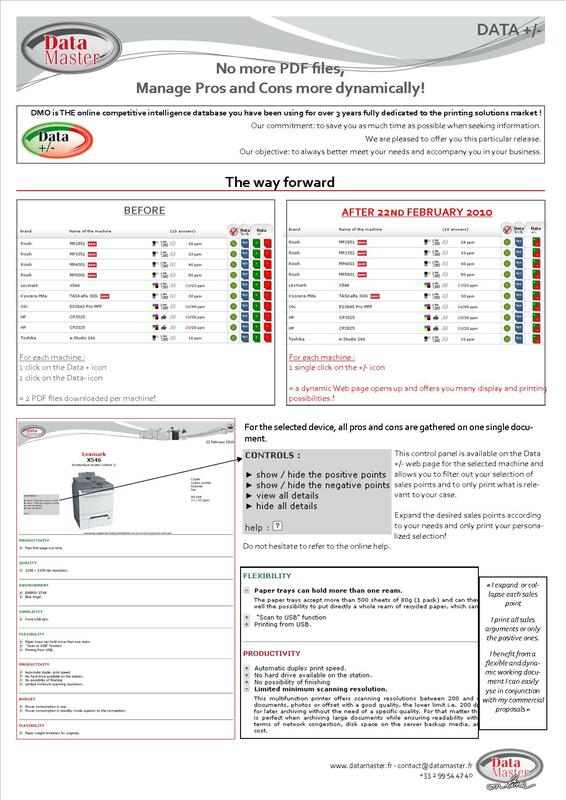 They also use the more environmentally friendly EA toner, like the other traditional A3/A4 MFPs in their catalogue. In an earlier News item, "From the MFP to the Cloud", we were already talking about integrating imaging devices into on-line document management solutions. Canon's "Scan and Print for imageRUNNER ADVANCE," a free application available for MEAP-enabled Canon devices, enables users to scan directly from the MFP to cloud-based services like Google docs and Sharepoint Online. It also allows them to print documents on the MFP directly from the same cloud services. Users will no longer need their PC either way. This will allow business people to quickly, cheaply and easily share paper-based information to the cloud. Once up there, the information can be shared to anyone with a smartphone or handheld computer, again without the need for a PC. Apart from the cost savings for businesses, the speed with which this process can spread paper-based information will make this very attractive - especially for those businesses already using cloud-based services, or those with mobile teams. Scan and Print for iR ADVANCE will be released in Japan in mid-December. It will then be rolled out to the rest of the world. Canon have not released a timescale for this, but we will keep you in the know! 06 - Sharp launches the new MX-2310U! 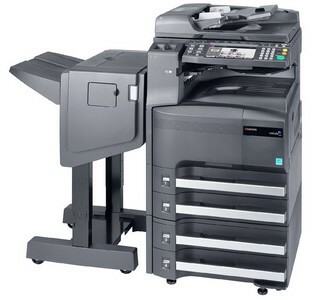 The manufacturer Sharp has launched an all-new A3 color MFP in Europe, a successor to the recent MX-2301N, the MX-2310U. Scarcely a year after the launch of the MX-2301N (in December 2009), Sharp is renewing its entry-level A3 color machine with one which is not really that different, but which is more user-friendly and has a greater capacity. 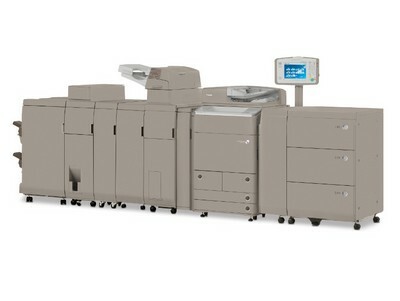 Konica-Minolta announced, during the last Ipex in Birmingham, the release of its new range, to be called BizHub Press. They have arrived! The BizHub Presses C6000 and C7000 have arrived on European soil. 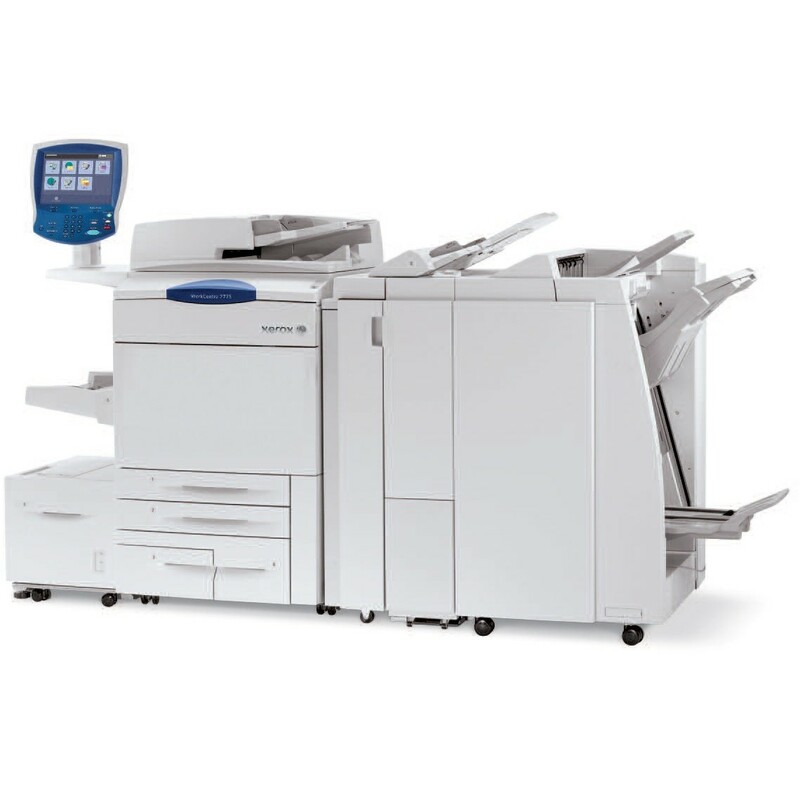 The new range in the Konica-Minolta portfolio now includes three digital presses (not forgetting the C8000!). 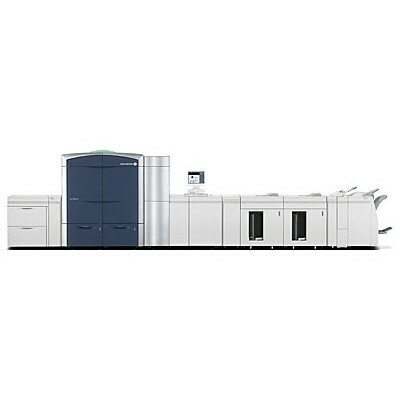 - Standard paper capacity lower on the C6000 and the C7000 (7,500 sheets as opposed to 10,760). 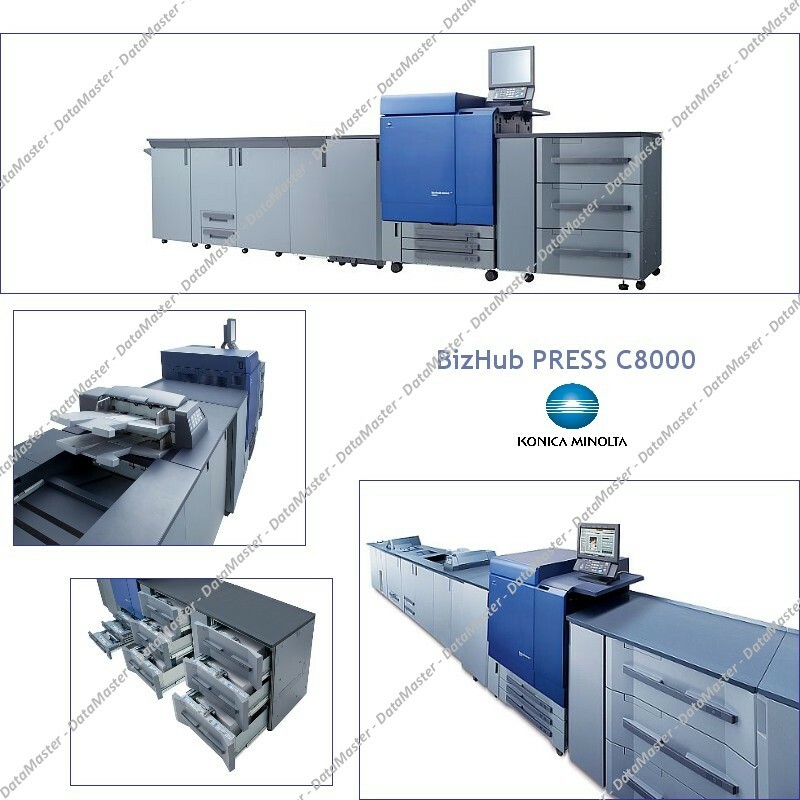 The C6000 and C7000 are also available as BizHub Pro versions (finishing less advanced than on the Press series) and in Printer version for the C7000 model. SAGEMCOM has just announced the launch of two B&W machines, the MF5571dw and MF5591dn. These two A4 units run at 24ppm and complete the Sagem range which runs today from 16 to 45ppm. The MF5571dw and MF5591dn MFPs have been entirely conceived and produced by Sagemcom, from the scanner to the print engine. The brand is now a manufacturer of its own equipment. Up to now, Sagem distributed products manufactured wholly or in part by others (Sharp, Konica-Minolta, etc). The MF5571 and 5591 series scan in color. A USB port situated on the front of the machines allow users to scan to and print from a USB key. 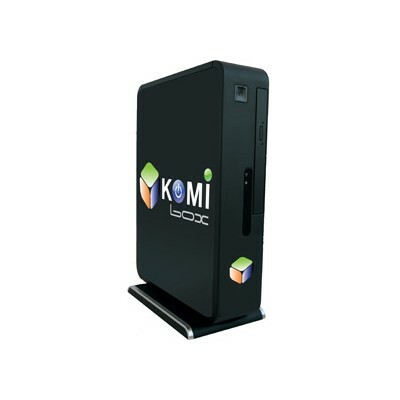 Launched last year by Konica-Minolta, the KOMIbox is a small (Linux) applications server, connected to the internet, using OpenAPI to interact with a multi-function peripheral and to send it applications and features remotely. Remember that the (bEST) OpenAPI layer is present on all Konica-Minolta's MFPs in the Bizhub range. A catalogue of solid applications is available to users, and billing is calculated on the basis of comsumption, based on UPPLI (Units of aPPLIcations), a bit like a pay-as-you-go phone card. 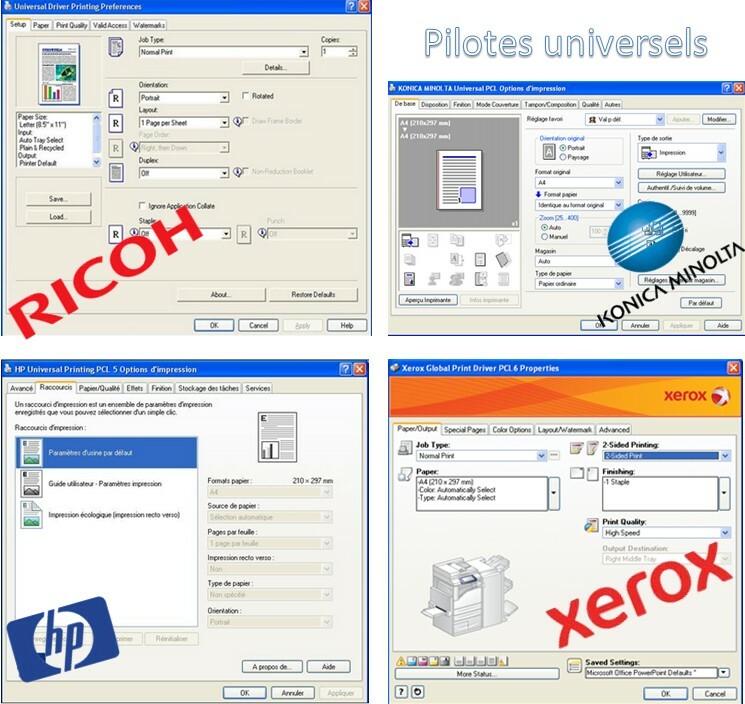 Konica-Minolta are continually adding to their catalogue of on-line applications. The graphics table application allows small- and medium-sized businesses to benefit from a special low tariff when the level of color usage is less than 6%. This tariff implies therefore three price levels: this is a pricing strategy already well known in the Xerox ColorCube and the HP EdgeLine range. Customers with a KOMIbox will therefore be able to print headed paper and follow-on sheets carrying their company logo in color much more cheaply than before. Update: This tariff will however only apply to a restricted number of document templates pre-set in the Komibox. The customer will therefore probably not be able to benefit from this intermediate tariff for all documents. 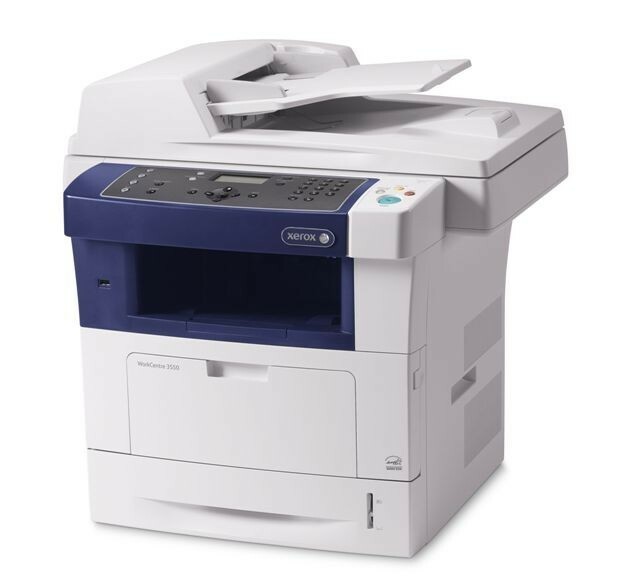 As regards the KOMIfax application, this allows SMEs to use their Konica-Minolta MFPs as fax machines without either a fax card or a fax line. 07 - D-Day for DMO new generation! 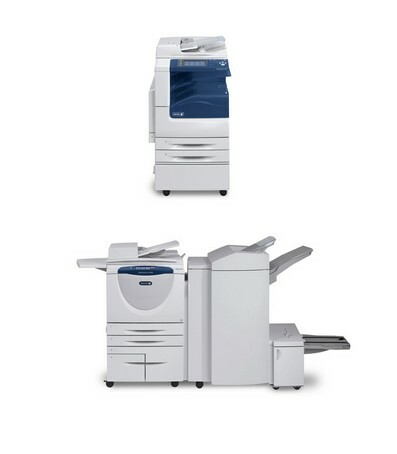 Xerox has announced the replacement of these three machines by the WorkCenter 7545 and 7556. 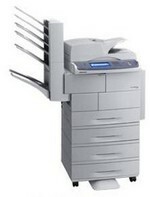 Based on the engine of the WC74-- family, these MFPs use the LCD technology which is the flavour of the month at Xerox. 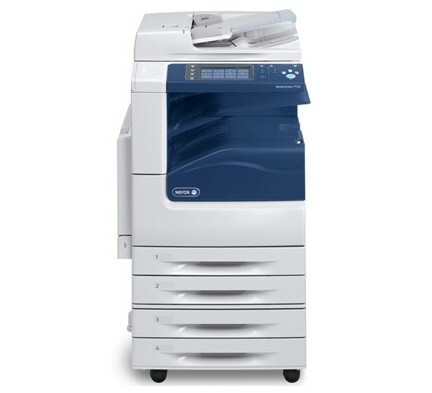 They complete the A3 color MFP range with a productivity of 45/45 and 55/55 ppm. The brand is highlighting the qualities of the process - environmentally friendly, quality, etc. 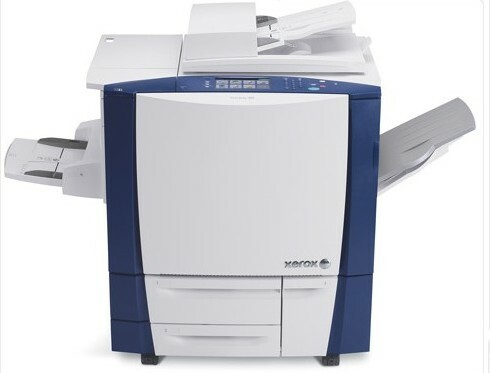 With these two new models, Xerox is lending a uniformity to its color range, particularly as regards the touch screen interface which will now be identical on all machines. With their launch being imminent, you will find their specs sheets on DMO very soon. After two years of valuable and loyal service, DMO in its current form is poised for a major update! Only seven days to wait to get your new working interface! For all those with a Viadeo account, this is to let you know that DataMaster manages a Hub simply called DataMaster. This space allows you to share information on subjects directly related to the office equipment and printing solutions market, to give us your opinion on specific topics, to let us have your views on any DataMaster service, to submit your ideas and requirements, etc. 19 - Samsung only on the A4 market? The rumor spreading for several months is about to be confirmed: the Korean manufacturer, with the CLX-9350, intends to have a presence on the A3 market. This machine should appear on European soil with a launch in the UK even before they invest in the American marketplace! This 35-page per minute Black and Color will most likely be equipped with a 60 ipm color scanner. A touch color screen, PCL and PostScript languages as standard as well as a stapling unit complete the specifications that we are able to give you right now. Canon has RE-Manufactured three old black and white MFPs originally launched in 2005. After having been completely disassembled and rebuilt in the brand's German factory (in Giessen), the iR6570, iR4570 and iR2870 get a new look and become the new iR6570Ne, iR4570Ne and iR2870Ne. More than fiteen years since starting their "Re-Manufactured Products" business, Canon still has the same objectives: making older models conform to today's tastes, while reducing the environmental and economic impacts related to renewing. Canon completely disassemble and rebuild their models, reset all the counters and offer their customers a new product for a lower price. are compatible with the whole range of software applications available from Canon in terms of efficiency, security and cost control, especially the solutions uniFLOW Output Manager, eMaintenance, Security & Pack Cost Control, Therefore MEAP and eCopy." 31 - Back from the Ipex! The Ipex exhibition in Birminham closed its doors on 25th May. A great sound and light show for our two consultants, and an opportunity for DataMaster to check out the leading machines of the exhibition. In honour of the exhibition, at the Konica-Minolta stand, the famous Press C8000 which, along with the C7000/6000, will have the hard task of replacing the C6501 and C6501e launched in 2008. Konica Minolta also used the Ipex to highlight its new Simitri HS toner on the Pro and HD+ Press versions as well as the S.E.A.D. 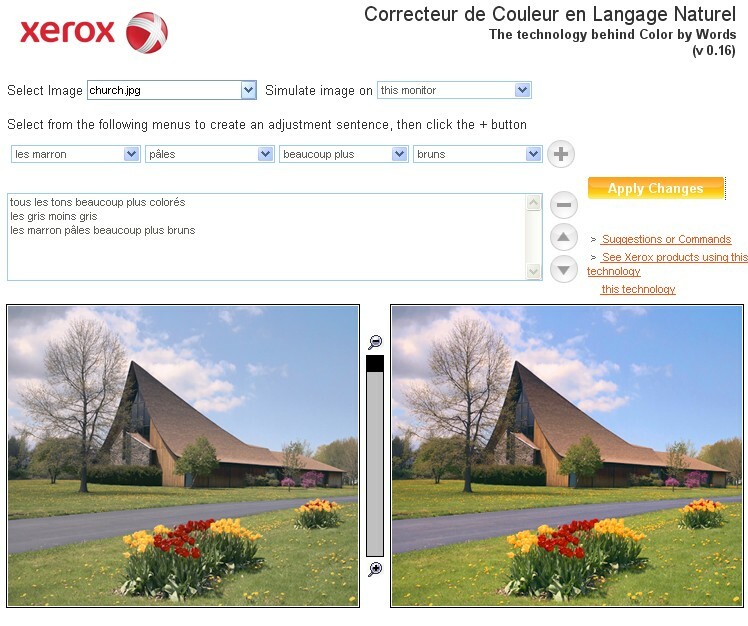 imaging technology (Screen Enhancing Active Digital) which improves image quality, color uniformity and text sharpness. The Color Press 800 and 1000 took the place of honour on the Xerox stand! mainly because of the fifth color integrated on the machines. The clear toner Fuji Xerox presented at the exhibition can give prints a brilliance and a glaze for presentations and texts. Another caracteristic of this toner is that it can integrate digital watermarks in the background of presentations, like a selective varnish. 18 - The Ipex international fair opens its doors today in Birmingham! 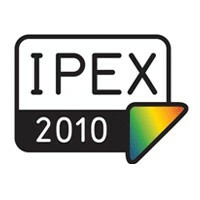 The previous Ipex in 2006 attracted over 100,000 visitors from 150 countries around the world. 40% came from outside the UK. The Ipex 2010 opens its doors this morning in the heart of Birmingham, and has until May 25 to get 101,000 visitors! This very international week is an opportunity for manufacturers such as Konica Minolta, Océ, Riso, Canon, Xerox, Ricoh to unveil to an expert audience their digital presses as well as associated software suites and finishers. DataMaster will be present at the show during the week to appreciate all the news and tell you everything you need to know for 2010 about production equipment! 07 - The certifications and labels review continues ! Introduced in 1978 at the initiative of the German Government, the label Blue Angel is the oldest eco-label in the world which has fought since its inception for sustainable development. "Today, approximately 10,000 products and services in 80 categories of products bear the Blue Angel eco-label"
• propose the use of recycled paper, and offer a duplex unit. 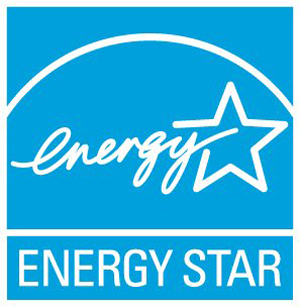 Most manufacturers of MFPs and printers have been warded this eco-label but not on all products distributed. 05 - Canon annouces 6 new iR Advance B&W in Europe ! 22 - What do these certificates awarded to MFPs really mean? 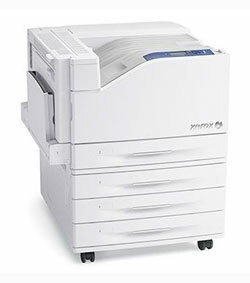 We recently announced the changes in the Xerox A3 color range (the phasing out of the WC7232 and WC7242). 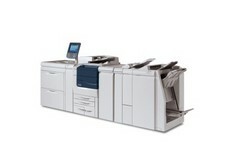 Now Xerox U.S. is officially announcing their latest model: the WorkCentre 7120. 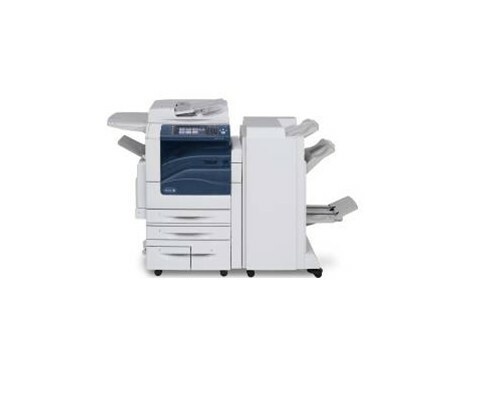 This color and black 20 ppm MFP provides Xerox with an entry-level MFP to compete with other brands' entry-level systems. The B&W range has also been updated: the WC5600 series is being replaced by the WC5700 series. Seven stations have been announced, up to the WorkCentre 5790 (90 ppm). These machines integrate the color touch interface already seen on ColorQube and the WC6400. Announced late last year, the Fuji Xerox Color 1000 was officially launched on Asian soil in January 2010 and its counterpart, the Color 800 should be next (Spring 2010). These new digital presses resp. 80 and 100ppm will be presented at the IPEX exhibition in Birmingham next May 18th. In terms of design, they share the look of the iGen presses. 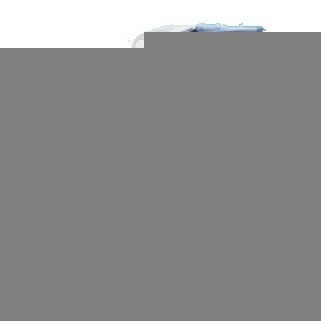 In terms of quality and environment, the new 800 and 1000 Color use EA Toner hitherto seen on Nuvera. 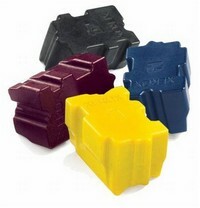 Finally, these presses integrate a fifth color type glossy from a transparent toner called "Clear Toner" which will offer a complete varnish or selective finishing. Besides these differences, there is a weight ranging from 50 to 350gsm and a size max 330 x 488 mm. 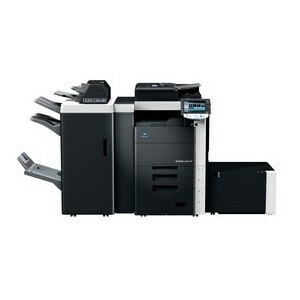 08 - Toshiba add a new 20ppm MFP in their A3 color range! 06 - Xerox replace the WC7232 and WC7242! 31 - After the C10 and C20, here's the C35 from Konica-Minolta! 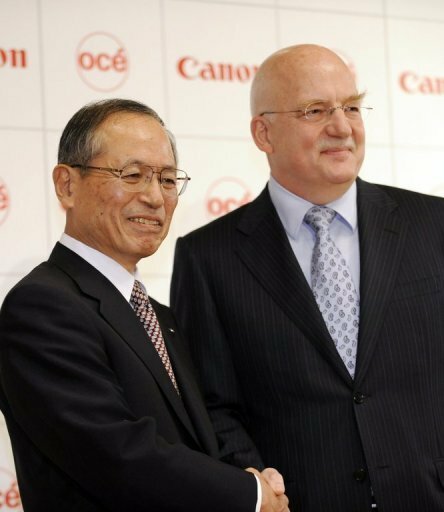 30 - Canon hold 84% of Océ shares! 26 - New Ricoh MPC6000 & MPC7500! 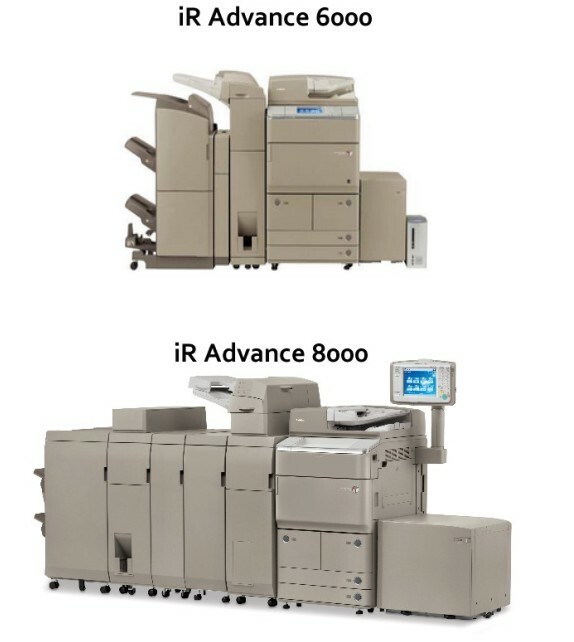 Ricoh renew part of their color production range and announce the release of the new MPC6501SP and MPC7501SP. No change in speed for the MPC7501 which still boasts 70 ppm in color and 75 ppm in B & W.
The MPC6501SP gets an upgrade compared to the MPC6000 (55/60ppm) and features speed of 60/65ppm. On the finishing side, known modules are aligned: 3,000 sheets booklet module (SR5000), coupled with two additional finishers from the Office range (MP6001, MP7001, MP8001). To be noted: the ADF supports 50 sheets more and the new software solutions already in place on the MP4001-5001 MP2351-3351.You can already check them out HERE. 22 - D day for DataMaster Online (DMO) on your iPhone! 12 - DMO on your iPhone: official launch March 22nd! 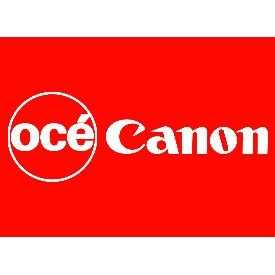 05 - Takeover of the Océ group by Canon quasi-effective ! 25 - New Ricoh MP2851 and MP3351 on the European market ! 24 - XANTE now referenced in DataMaster Online! 22 - No more PDF files, manage pro's and con's more Dynamically! 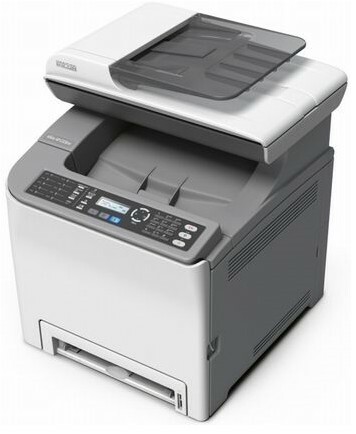 16 - Ricoh replaces the MP4000 and 5000 series with the new MP4001 and 5001! 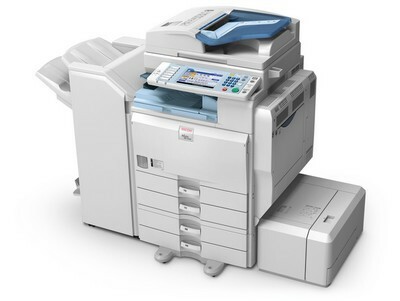 The new Pro C720 press and Pro C720s MFP complete the existing high volume range by Ricoh. The engine of these machines is modeled on Pro C900 range released last year in France. To remember: the Pro C720 range does not lose speed when printing on heavy paper weight media (same as on Pro C900 range). The SNESSI just released its Green Guide. This report tells us in particular that in France, 200 billion pages were printed in 2008. Black & White impressions decrease (-4%) while color is favoured (22%). This confirms that the use of color gets democratized. According to the Gartner Group, color increased by 3% in total. A prominent figure in this report: 32 billion. It is the number of pages wasted over the 200 billions that have been printed: 16% of impressions or copies are left on the machine or simply discarded before being even read! (source: SNESSI) This percentage suggests that the French still need to be educated vis-à-vis the way they manage documents. 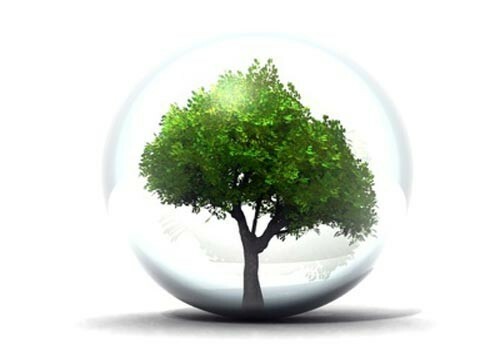 Within companies, it appears that IT managers are aware of this problem: 76% of them say that environment friendlyness is one of the top 3 criteria when considering the purchase of a device (Source: Forrester ) and 54% want to invest in Green IT (Source: HP). Since 2009, manufacturers have strengthened their actions towards sustainable development with for example the use of bio-plastic (Canon, Xerox) and lower power consumption in standby and operation mode. Oki complements its line of color printers with the new C910 - 31 ppm color and 36 ppm in Black (based on C9650-C9850 already referenced). Featuring LED technology, this model boasts up to 2880 sheets in total and supports folding, stapling and hole punching finishers . This printer is consistent with Oki's standards with a maximum media size of 328 x 457mm (SRA3) and the ability to print on banners up to 1.20 m.
Moreover the maximum paper weight announced in the by-pass is 300g. This device is soon to be discovered in DataMaster Online (DMO) in the Oki range! The LED technology allows printer manufacturers to market smaller and greener machines. Japanese manufacturers Brother and Oki have well understood that this technology can benefit the SOHO/SMB markets. the MB400, available in 3 models: MB460, MB470, MB480 (28 ppm). FYI Oki strongly believe in this technology which they have been working on since the early 80s! 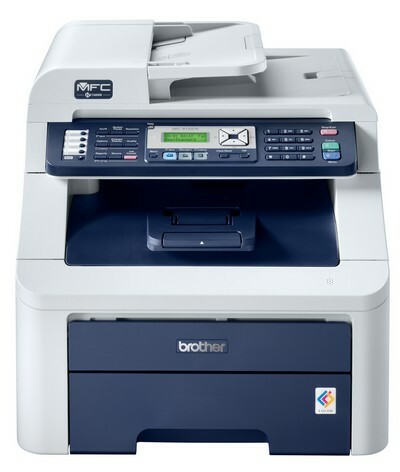 In the meantime Brother launches 3 MFP's and 2 Color printers designed for medium and small workgroups: the MFC9320, MFC9120, DCP9010, HL3070 and HL3040. Oki and Brother are not the only one to integrate the LED technology into their products. Xerox, Océ and Konica-Minolta have also chosen to adopt LED for specific product ranges. 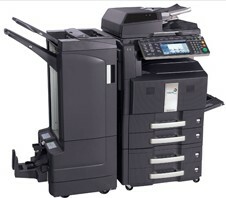 09 - Kyocera launches its new A3 color 55, 65, and 75 ppm in Europe ! 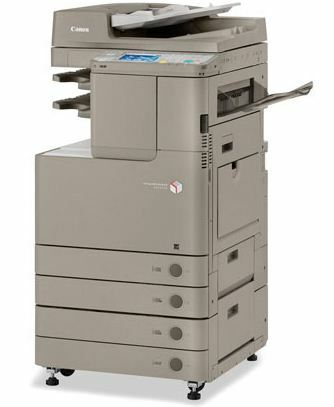 In a few months, it will be one year already that Kyocera renew its MFP under the name "TASKalfa"
They just replace the KM4050 et KM5050 launched in 2006. 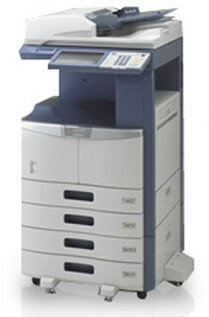 The TASKalfa 420i et 520i offer a media handling identical to that of their predecessors. The 160 GB harddrive, the 2 GB RAM, the USB port and features related to control and security (IPsec, SSL encryption, watermark security, LDAP, IPv6) sign the new range of Kyocera-Mita. 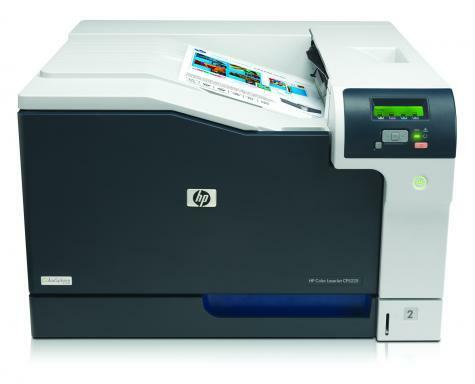 After launching the new black & white A4 40 ppm printer (P3015), HP release 3 new printers of 20, 35 and 40 ppm. Already announced on the US and European markets, these three printers should be soon available. DataTech are already being produced ! 23 - New range, New name for Canon colour products ! Canon's teams had a demonstration the 18th of september in Barcelona. The official launch is annonced the 24th of november. A new controller is born, more powerfull than the old version. Canon has developed new partnerships with Microsoft and Adobe to perform the MFP's functions. With those new ranges, Canon claims its ecological view by reducing its energy consumption and its gaz emissions. 19 - New Toshiba's range ! 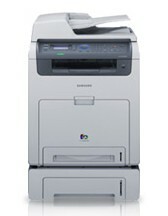 In July, we told you about 9 new B&W MFP in Toshiba US range. 8 machines are now on the European market : e-Studio 255, 305, 355, 455, 555, 655, 755 et 855. Running from 25 ppm to 85 ppm, they renew totally the previous B&W serie. 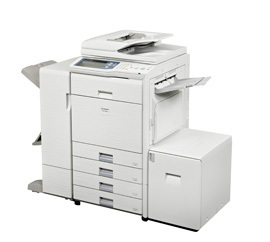 With this range, Toshiba insists on the ecological impact and how to manage printing costs. 24 - 2 new MFP in TASKalfa range ! 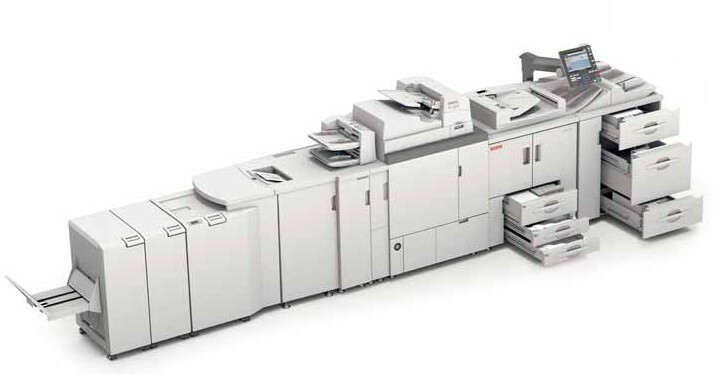 3 new ImagePress have been lauched by Canon last June in Europe : ImagePress 1110, 1125 and 1135. Those machines can print on uncoated paper up to 300 g and on coted media up to 240 g. The speed remains the same even on heavy medias ! The targets announced by Canon are CRD and departments who need to produce catalogs, mails and booklets. 30 - New A4 color for Ricoh ! 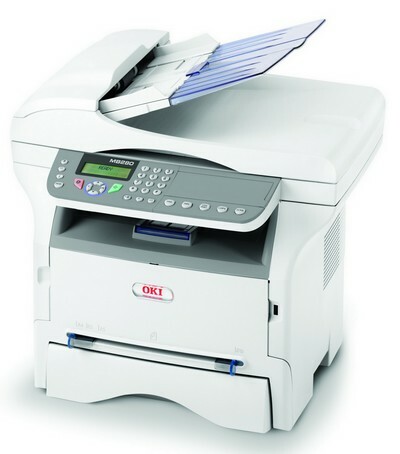 WorkCentre 3210 & WorkCentre 3220 are both 4-in-1 printers. 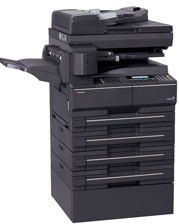 Those A4 B&W multifunction printers print at speed up to 24 and 28 ppm. 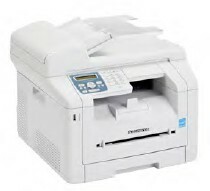 The WC3220 adds PostScript 3 and advanced features such as fax forward to email and automatic two-sided printing. Their DataTech are already available on DataMaster online ! 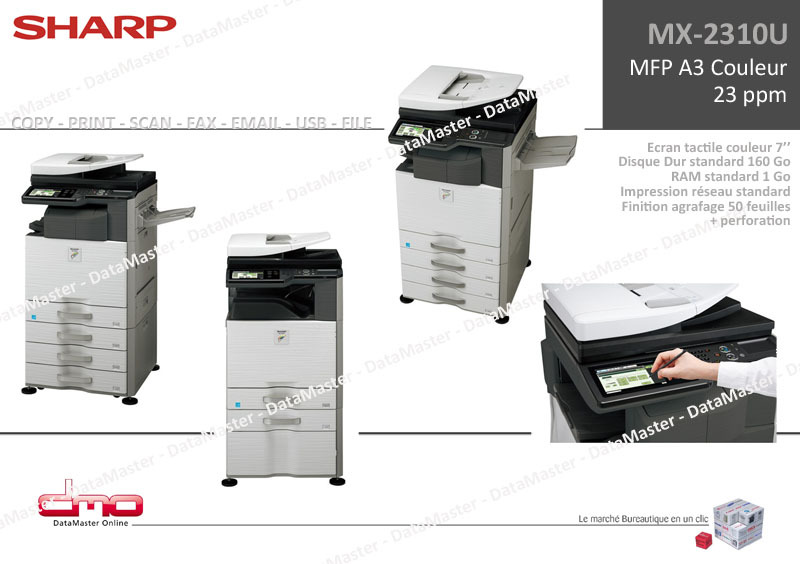 14 - Xerox launched the world's first A3 color wax MFP ! 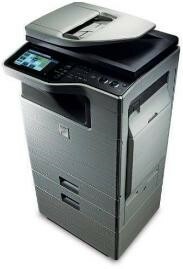 15 - Lexmark and its 9 new laser MFP ! 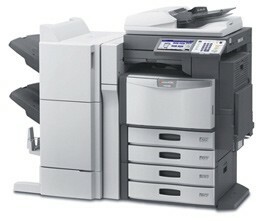 Sharp has introduced two new A4 multifunction printers in its Frontier range of machines, the MX-C311 and the MX-C381. 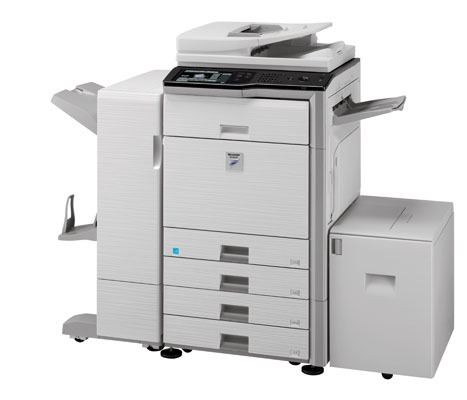 The MX-C311 and MX-C381 are the first in a new line of A4 full-colour MFP products that are designed to meet the needs of small and medium businesses. 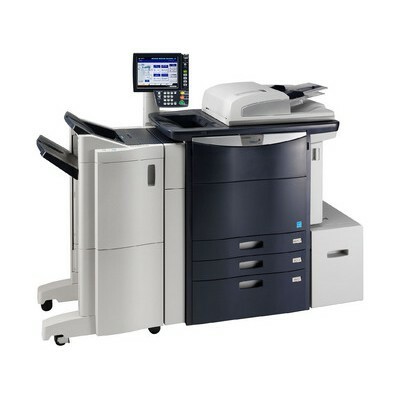 Both incorporate colour printing, copying and scanning, with the MX-C311 printing at 31 pages per minute and the MX-C381 at 38 pages per minute. The products offer standard features, such as a document feeder, double-sided copying and printing, and colour network scanning and printing, all of which are driven through an 8.5" colour touch screen, which utilises a variant of Sharp's operating system. Both also support the third-generation Sharp OSA platform, allowing connectivity with network-based business applications, and use the Sharp Security Suite, which meets industry regulations for IT security.